New Ideas | You're not alone in this world. So a new hair salon opened up down the street in our tiny little town. This time it’s not 70 year olds sitting under the hair dryer and only doing perms. This is an updated more “hip” beauty salon. 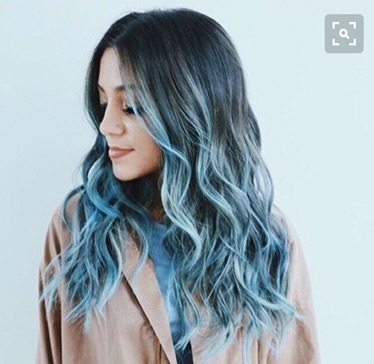 I’ve decided I’m going to make an appointment and get a dye job. B- black blue and grey. 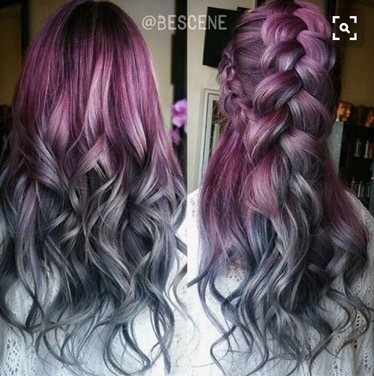 I ♥ the purple fade, Oh, how I’d love to do something like that! Go girl! Oooo one vote for purple two for blue! !